Phenobarbital is an anticonvulsant that has been available since 1912. It is truly the first practical anticonvulsant. For adults, the medication is overly sedating. The medication has been linked to decreased IQ in children born to mothers taking this medication. Its only advantage is that it is one time daily dosing and extremely cheap. Dr. Loftus does not believe this medication has any current role in epilepsy treatment in adults. Primidone® or mysoline is an anticonvulsant that has been available since 1952. One of its breakdown products is phenobarbital. Primidone® is a useful medication for tremor. Dr. Loftus does not believe that this medication has any role in epilepsy treatment in adults as it too is overly sedating in the doses required for epilepsy treatment.He has discontinued both Primidone and Phenobarbital in several patients who did not think they were overly suffering from sedation. All of them became much less tired after being discontinued from the medication. Felbamate® or Felbatol was the first of the new anticonvulsants approved in the United States. It is a broad-spectrum medication with antiepileptic activity that works against both partial onset and generalized onset seizures. It has several drug interactions with other AEDs but this is manageable. 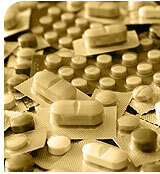 The medication causes weight loss in many patients who take it. It was briefly withdrawn from the market when it was determined that in rare cases it caused aplastic anemia (the inability of bone marrow to make any replacement blood cells) or liver failure resulting in death. The medication was allowed back on the market as some patients had dramatic responses to this medication. In adult epilepsy, it is hardly used due to the side effects mentioned above. To give you an idea of how rarely it is used, Dr. Loftus currently has exactly one patient in his practice on this medication.